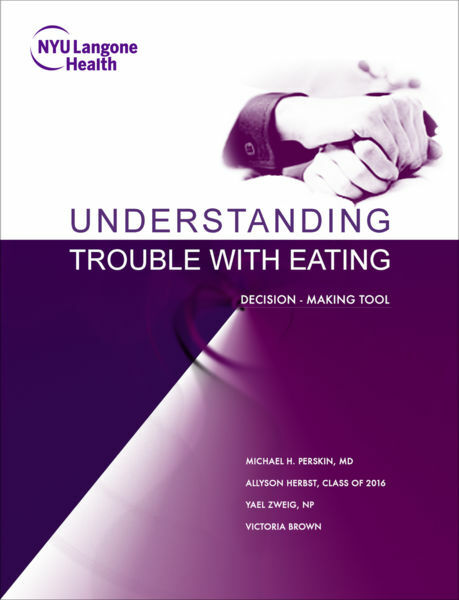 This guide serves as a starting point for discussions with members of the medical team about preferences on how to approach eating or swallowing issues as part of advanced care planning. It is designed both to inform and to assist in making decisions now or at some point in the future. This publication is presented by the Institute for Innovations in Medical Education, NYU School of Medicine, NYU Langone Health.